Designed in cooperation with WOCN Nurses, it’s a unique device worn between the removal of your used appliance and the attachment of your new appliance. 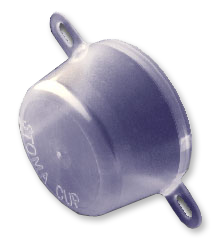 A stoma cup eliminates the need to use one hand to hold any absorbent material on your stoma after showering. Also may be used to protect your stoma during bathing or showering. NO TAPE OR ADHESIVE REOUIRED! EASY TO CLEAN! IT’S RE-USABLE!